The Singapore Writers Festival inspires contradictory feelings in me. You might think that a book nerd like me would welcome the event with unreserved enthusiasm. Certainly, during the media briefing I attended last week, there were exciting themes that got my nerd brain buzzing. 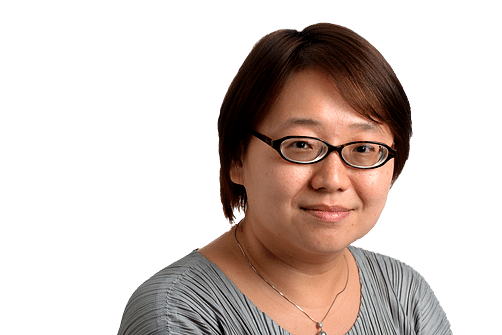 When new festival director Yeow Kai Chai (who, in the interest of full disclosure, is a friend and an ex-Straits Times colleague) talked about "a festival of thinkers" and "a festival of ideas", I welcomed the macro view. I nodded in agreement when he talked about recognising Singapore's geographic and cultural location in South-east Asia and relating that to the festival. And I also agreed when Select Books director Tan Dan Feng, who is helping to curate the festival's Beyond programme exploring music, films and translations, spoke about the festival having built a niche as one of the few multilingual literary festivals in the world and how it has inherited a history of multilingualism and multiculturalism, something which it should explore further in its programming. There were "roll my eyes" moments too, when the familiar bugbears of "demystifying" literature and making sure the festival was "accessible" were mentioned. Why is there this need to apologise for the perception of "atas" (high-brow) literature? Just accept that there will always be people who think literature and writing is airy-fairy and move on. If the programming is right and resonates with people, the festival will grow. The healthy attendance in recent years is testament to that principle. The festival and I go way back: To my student days when I attended small panel discussions where attendance was barely more than the number of speakers; to my junior reporting days when I interviewed visiting writers and reported on events; to a short stint on the organising committee in the early noughties. I have seen it grow from a biennial free event where the annual attendance clocked in at a modest 2,000 to 3,000 people, to an annual ticketed affair that attracts standing-room-only poetry reading sessions and attendance figures that have a good chance of breaching 20,000 this year. There are many things that the festival has gotten right in recent years, starting with the decision to go annual in 2011, along with the appointment of its first festival director, poet and now deputy chief executive officer of the National Arts Council Paul Tan. Going annual means that the festival branding is much stronger and early November is now stamped in the calendar as Singapore Writers Festival week. A festival director gave the event continuity and an overarching vision. Tan hit on the right mix of literary names and mass appeal writers, inviting authors that ranged from literary stars such as Michael Chabon and Jonathan Lethem to blockbuster attractions such as Jimmy Liao and Jung Chang. The decision to situate the festival in the heart of town - in tents at the Singapore Management University Campus Green - also made it accessible and gave it an energetic vibe. As a festivalgoer, I loved hanging out at the Festival Pavilion where a cafe served hipster brews and bakes while a well-stocked festival bookstore drained my pocket steadily throughout the event. I will miss this venue because the festival is moving back to the Arts House this year. But I am looking forward to the better ventilation at least - the rather ripe-smelling tents of 2013 are not something I will miss. Tan also had the unenviable task in 2011 of overseeing the introduction of ticketing - then seen as a risky move. But the decision to start charging admission was vindicated when more than 600 people paid $40 a ticket to hear Freakonomics co-author Stephen Levitt speak and about 1,000 members of the public shelled out $15 each for festival passes to more than 80 events. Festival passes now cost $20, still cheap when you consider the fact that it gives attendees access to about 300 events. The so-called pricier tickets top out at just $60 for a masterclass with GQ editor Dylan Jones and $160 for the publishing symposium for professionals. Charging admission is a good move for the festival to assert its value. Which brings me in a roundabout way to the ever-thorny question of value, always a matter of intangibles when discussing literature. Listening to some of the language being used at the media briefing - crossing genres, breaking boundaries, multidisciplinary performances - it all sounds very exciting, especially when Tan Dan Feng talks about translating poetry into kathakali dance, or when the first collaboration between the festival and national performing arts centre Esplanade is discussed: Dimensions & Demons, which features home-grown writers working with musicians on a multimedia production. And I would definitely be keen to check out playwright Huzir Sulaiman's curated overnight programme of drama, poetry, song and prose titled cheekily What I Love About You Is Your Attitude Problem. While all these ventures are fun and will no doubt attract a younger crowd to the festival, I also could not help wondering about the position of writers, and writing, amid all this genre-busting experimentation. I belong to the converted - you do not have to convince me of the centrality of writers to mediums as diverse as theatre and film. And the Singapore Writers Festival has always programmed events aimed at outliers - I remember an SMS haiku competition years ago. The inclusion of graphic novelists signalled a broadened recognition of writing talent and, in recent years, bloggers have been included in panels too. But when a writers festival programmes other genres such as music, theatre and film, it flirts with the danger of forgetting about its core - the writers. Of course, it is all a matter of spin - if the programmes are pitched right, the genre experimentation can draw in people disinterested in writing, but keen on music, theatre and film. After getting them in the door, it is another short step to inculcate in them a new appreciation of the role of writing. For me, that has to be the core mission of a writers festival - to reiterate the value of writers and writing. While the soaring attendances for the festival is cause to celebrate, there is also the worrying slip in reading statistics, as seen in the Singapore Cultural Statistics reports released by the Ministry of Cultural, Community and Youth every year. The National Library Board has seen figures for loans and visitorship dipping - from 38.1 million loans in 2012 to 35.5 million in 2013, and from 28.7 million visitors in 2012 to 27.3 million in 2013. While it could be argued that the drop is not dire, yet, it is a reminder that promoting reading and the value of literature is a constant battle in Singapore. And it is up to the Singapore Writers Festival, the tentpole event of the Singapore literary scene, to lead the charge. The Singapore Writers Festival ison from Oct 30 to Nov 8. For programme and ticketing details, go to www.singaporewritersfestival.com.